At tlc4schools we know that creating a sensory room from scratch or developing an existing resource can be a daunting task. We can help you identify your requirements, assess your environment and future plans and criteria to arrive at a fully considered proposal of your needs. Equipped with this information and having an good understanding of the options available to you we can then concentrate on the design of the room and equipment selection. We will inform you of the latest developments in products and equipment and explain in simple terms how the new technology can benefit you and your users. 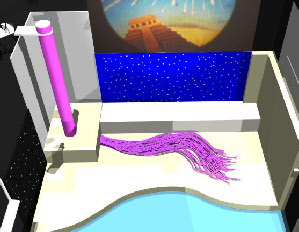 We can produce computer generated images, plans and animations to help you visualise and realise how your new sensory environment may look and work. We can visit you and discuss your needs and requirements and match these to the most suitable products and equipment available. 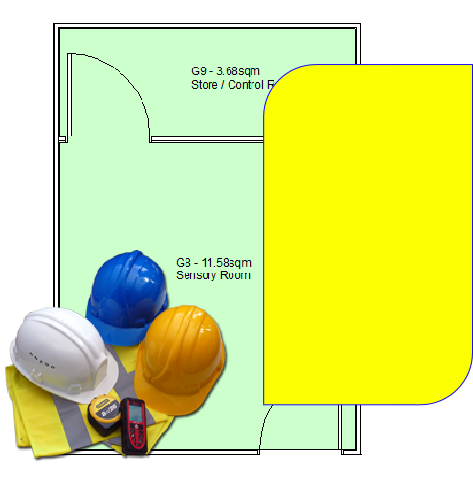 Carry out a survey of your sensory room or site and offer suggestions about what is possible, ideas of layout and equipment together with an overview of the existing and any new infrastructure that may be required. Whether you have a clear idea of your requirements or need help to define it we will work closely with you to achieve the best solution in terms of design, quality, ease of use and function. 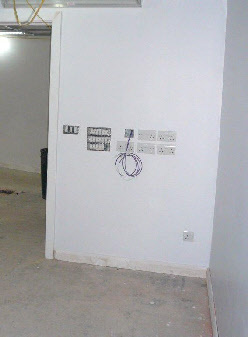 As all of our projects are bespoke to suit your individual needs, the timescale for realising your project will vary on a few things... the size of the project, the level of custom items, the degree of infrastructure work required (power/electrics, radiator boxing, building work and alterations etc). Once these items have been finalised then we can plan an installation for our engineers to deliver and fit-out your new sensory system. 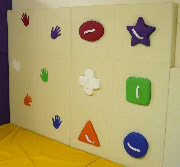 Our sensory bundles and smaller projects will have a shorter lead time. The cost of a project is always a fundamental aspect to consider from the outset. 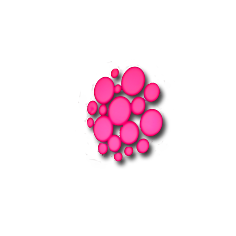 This will influence the design, layout and selection of equipment together with planning for future additions and upgrades. We understand that funds can be hard to come by at the best of times and that future funding can allow the initial concept to be realised. For this reason we don’t just look at the current situation - we take a longer term view to ensure that your project can be efficiently developed in phases and upgraded as funds and new technology allow. We can create a meaningful solution for most budgets. Installation and set-up is carried out by our own engineers and work is scheduled in to ensure minimum disruption to your environment and establishment wherever possible. We can provide a total solution in terms of installation & infrastructure including such items as electrical installations, floor coverings, block-out window blinds & coverings, air conditioning (heating & cooling). We also work with hoist manufacturers and installers to ensure synergy between our designs, equipment and the practical requirements of accessibility into and around these environments. 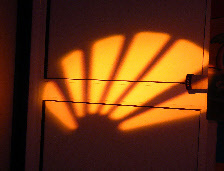 Dark rooms provide a controlled environment in which to focus on visual acuity and visual development work. It is important to be able to control which effects are visible and the need for good block-out on any windows and doors is essential to allow users to focus on a specific task or activity without distractions. 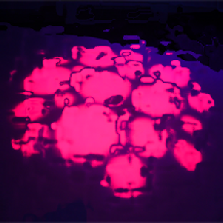 The Ultra Violet lighting often found in these rooms makes specific reactive objects , toys and materials glow producing a highly contrasting scene to work with. We design and produce a range of wall panels, ceiling panels and floor and wall finishes which are suited to visual work in these environments. 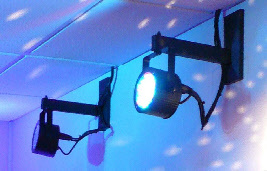 Our range of U/V toys and equipment compliment the skills and development being undertaken in dark rooms. For more information and to discuss your project please call or email us. We take time and effort to make sure that your new Soft Play environment is designed to suit your needs and requirements. A wide range of standard and new features are available including bespoke items and in-built interactivity. Whether you are looking for physical play, cause and effect, users to develop key skills such as balance and co-ordination, an area to let of steam and test boundaries, vestibular input, tumble/movement activities and a treatment/intervention space for therapy we can help. Whatever your priority is for the functions of this type of room we can help you create an appropriate space which has been considered and made for that purpose. We design all our projects based around your individual needs, your budget and whether you need to develop a sensory resource in stages. Designs can progress through a series of iterations until a fully considered and detailed outcome can be realised. 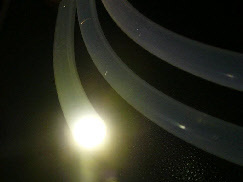 Once we have developed a design that you are happy with we can then look at how to make it reality. 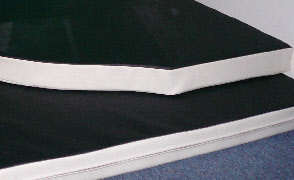 Whether you have a large hydrotherapy pool or a domestic bathroom, we can add the right equipment to create meaningful and appropriate sensory effects for your sensory environments. Our systems range from basic light and colour projection through to more coordinated interaction and programmed sequences of moving light, colour and sound both above and in the water. 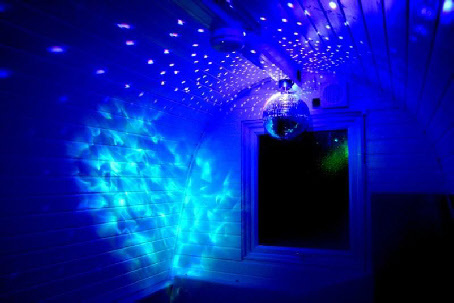 Whether your water based sensory environment requires Extra Low Voltage Items due to height and distance limitations or not, we can select and install the appropriate equipment to suit your specific needs and space. 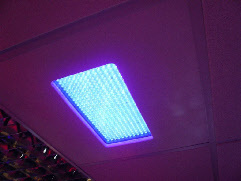 We offer a range of solutions to help you keep your new sensory room working as it was intended. 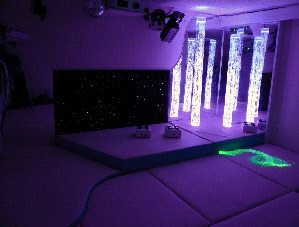 We also cater for existing and older sensory rooms, please contact us to discuss how we can help you with your sensory room with our maintenance contracts and service visits. 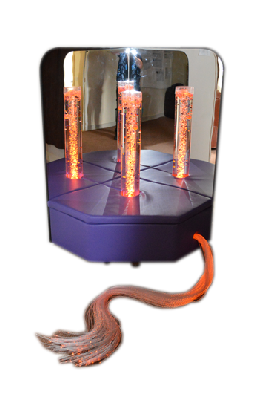 Having a new build or need to re-locate your existing sensory equipment to a new environment? 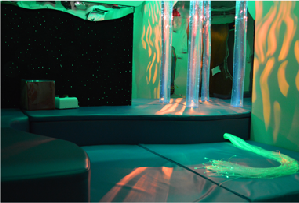 Need advice and help with design, planning and moving sensory rooms and equipment? 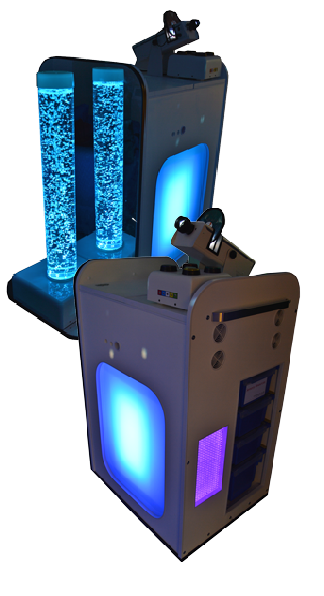 Our new Sensory Trolley is feature packed with the latest in LED technology providing years of maintenance free use and enjoyment. This sturdy unit is the perfect solution where sensory tools and resources need to be brought to the user and to change an ordinary environment into a special one. The trolley will fit through standard doors and into lifts* fitted with four lockable castors and a contoured handle to make manoeuvrability and use both safe and secure. 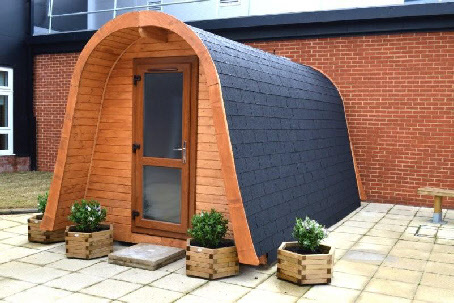 Contact us to discuss your own requirements as these units are made available by us for use by those with specific requirements. 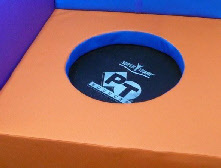 Portable equipment is ideal where space is at a premium or where no room can be dedicated for sensory provision. 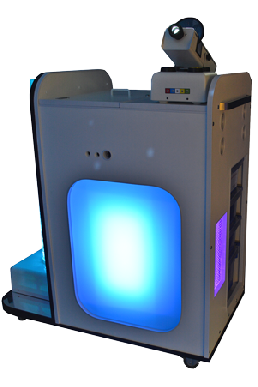 The advantages of our portable kits is that they can be accessed around a school or centre. Some of the smaller kits are suited for loan to parents for use at home with their children. Increasingly we are finding that space in schools is at a premium and a suitable dedicated space for additional facilities is limited. 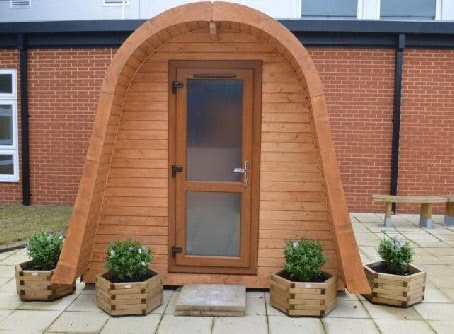 Our Pods use available outdoor space to accomodate anything from a small room to a whole suite of rooms such as a therapy centre within a school. 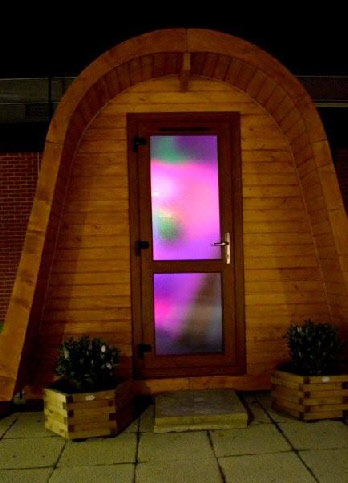 We offer a range of size and specifications to suit your requirements together with bespoke options for a unique Pod experience. 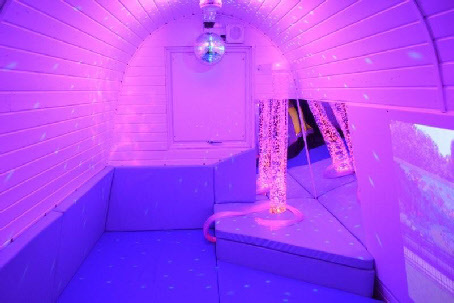 Whether you are looking to create a sensory room, an immersive environment, calming space, soft play (PodPlay)or even another classroom then we can help. We can take care of the planning application on your behalf, supply and installation with connection to services such as power, water and drainage as required.